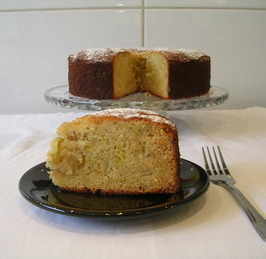 This is a light and moist cake with the gently sweetness of pear and finishes with the light spicey taste of ginger at the end. Totally delightful! Made with ground almon, maize & rice flour.